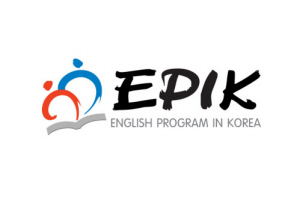 EPIK (English Program in Korea) is a government sponsored program designed to bring English teachers to work in South Korea. It places over 1,000 teachers in Korea each year. The program was established in 1995 with the aim of improving standards amongst students and to further cultural exchange. The program places teachers in March and September in various locations throughout the country. Some locations are more desirable than others so if you have a preference it is very important to apply early. When you apply your application is firstly dealt with by EPIK administration. If approved, they will then pass it on to a Provincial Office of Education (POE) who will take it from there. The POE will decide specifically which school you will work in and it is with the POE that you will sign a contract (not EPIK). As a teacher you will work at primary and secondary schools within a designated POE, but you may also be asked to work at other educational facilities within the EPIK program. EPIK has 1 year contracts starting either March or September. Before beginning there is a 10 day orientation and training program in Seoul. A typical working day is 8 hours, with approximately 22 hours/week of actual teaching time. Overtime pay is available if teachers are asked to work additional hours. You will only work Monday to Friday. Most teaching work is as an instructor alongside a Korean teacher. There will also be some materials preparation and possibly teacher training to Korean teachers. * Preference is given to TEFL certificates with 20+ hours of in-house training (60+ hours for Busan). You must also meet the requirements for an E-2 visa. All these are detailed in the application. Pay is based on qualifications‏‎, experience, and location with higher salaries for more remote locations. In general it ranges from between $1600 USD (€1266, £1018) to $2400 USD (€1899, £1527) per month. exit allowance of $1150 USD (€910, £732) or a renewal Bonus of $1750 USD (€1385, £1114) for re-signing. The application to the program can be made in several ways either contacting the EPIK offices directly if you are in Korea or through your local Korean embassy or finally through a third party recruiter (who sometimes charge you for the application!). In all cases the documents will need to be submitted and checked and also there will be a face-to-face interview. If this is successful you will receive notification and then apply for the E2 visa. Full details are on the official EPIK website. For a discussion on changes made in 2013 to the EPIK requirements (January 2013) see our blog, Changes to EPIK Requirements.